Having decided to be more sensible with my eating so I can follow a lifelong and sustainable plan, with no extremes of starving or bingeing, I revisited the ‘My Fitness Pal’ app to track what I am eating. I put in my weight and how much I want to lose a week and it has told me to consume 1,200 calories a day. Of those calories, I am trying to eat mainly plant food i.e. fruits and vegetables. But in theory I can have whatever I like, as long as I don’t go over my total allowance for the day. If I do, I will have to exercise it all off as it also enables you to track exercise and calories burned. I had 2 pink lady apples for breakfast and 2 cups of tea throughout the morning. 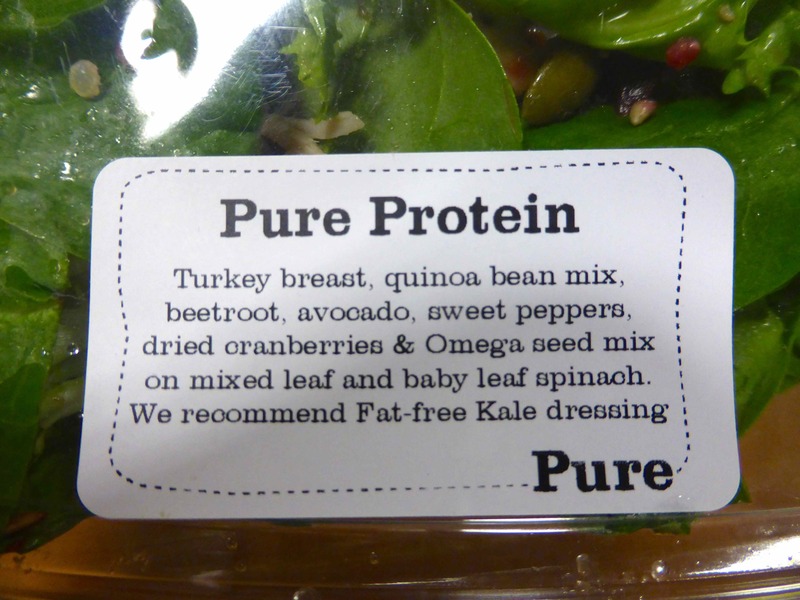 At lunch time I popped in to Pure for a salad and I chose the ‘Pure Protein’. 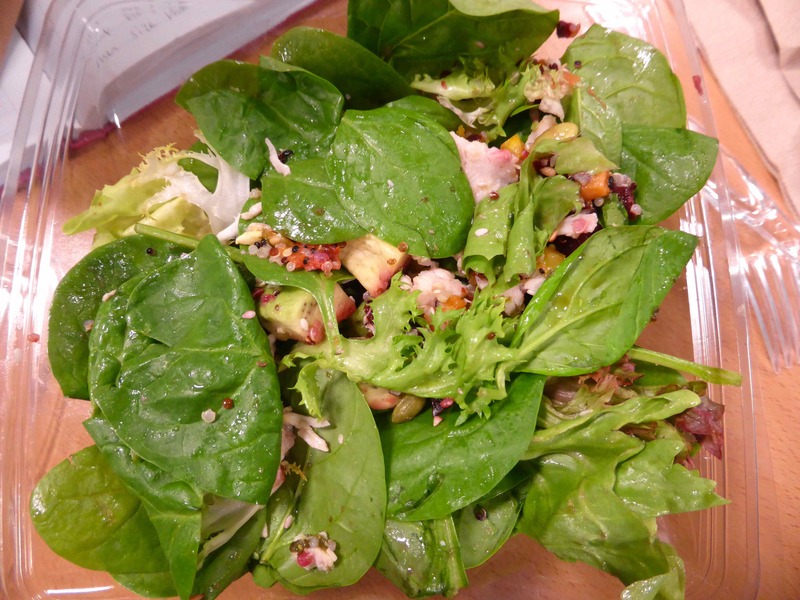 Lots of green leaves which I covered in the fat free kale dressing the salad came with. Under the leaves were lots of yummy little nuggets of food such as avocado and turkey. 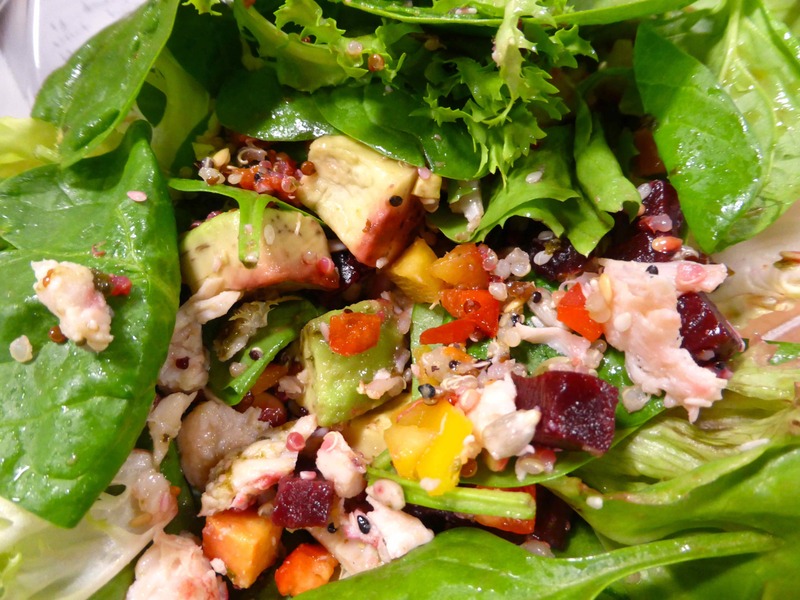 I enjoyed this salad and it was 422 calories, including the dressing. Another cup of tea and lots of water got me through the afternoon. 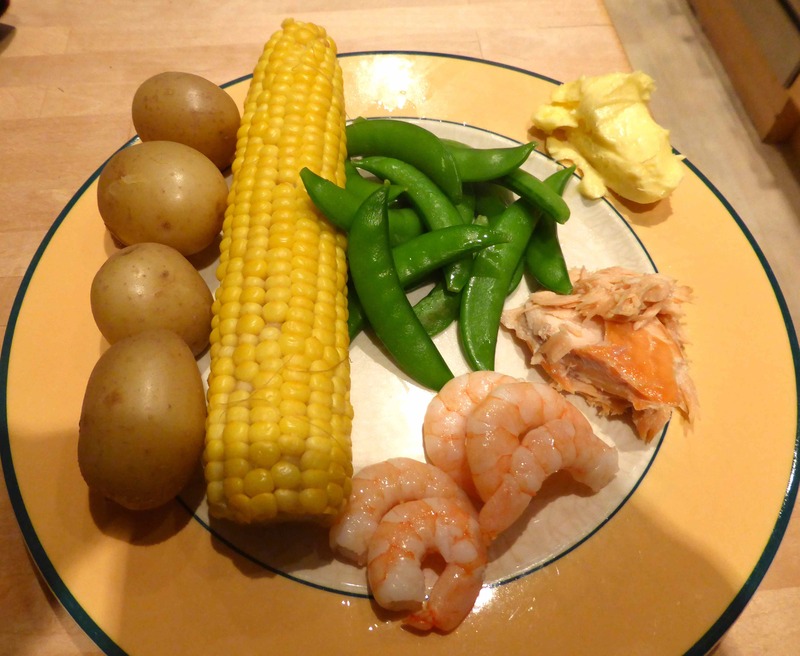 Dinner was a rather unusual combination of bits and pieces I found in the fridge or cupboard. 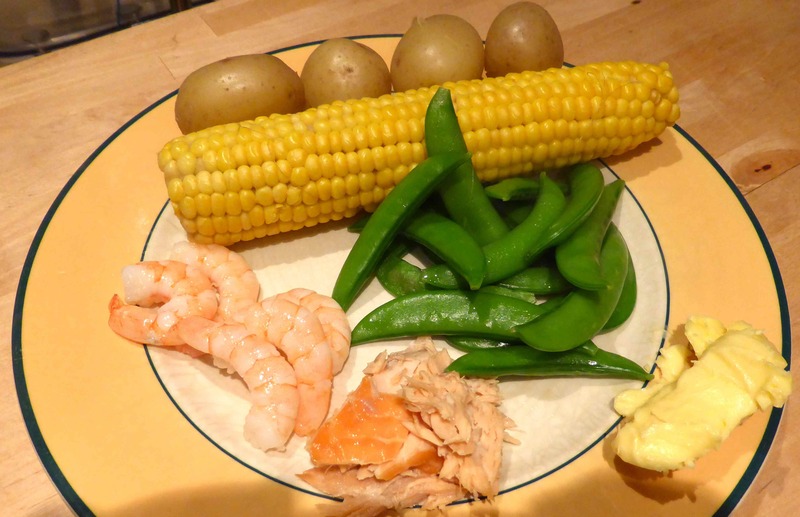 4 new potatoes, 1 corn cob, sugar snap peas, some prawns and salmon with 15g butter. All of this was only 395 calories! I feel completely sated and have no need of anything else to eat even though I have 364 calories remaining ( I had 224 calories left but when I put in the walking I have done today it gave me an additional 140). I shall go to bed knowing I have lots of calories left over, feeling very pleased I have behaved today. This entry was posted in Uncategorized and tagged My Fitness Pal, Protein, Pure. Bookmark the permalink. Well done. By now, you will have been doing this for almost a week now. How is it working out?